In 2022, American Jews face an increasingly unsafe and anti-Semitic landscape at home. Against this backdrop, the Jacobson family gathers for Passover in Los Angeles. But their immediate problems are more personal than political, with the three adult children, Mo, Edith and Jacob, in various states of crisis; the result, each claims, of a lifetime of mistreatment by their father, Julian. The siblings have begun to suspect that Julian is hastening their mother Roz's demise, and years of resentment boil over as they debate whether to go through with the real reason for their reunion: an ill-considered plot to end their father's iron rule forever. That is, if they can put their bickering, grudges, festering relationships and distrust of one another aside long enough to act. And God help them if their mother finds out . 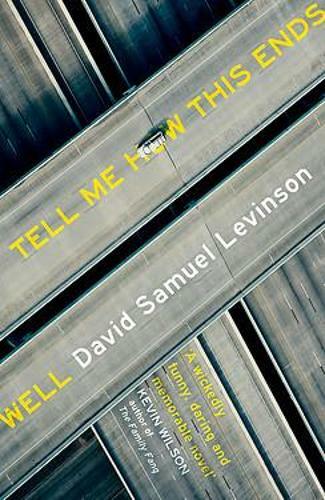 . .
Tell Me How This Ends Well presents a blistering vision of near-future America, turning the exploits of one very funny, very troubled family into a rare and compelling exploration of the state of America itself.